It is entirely possible that if you have reached adulthood then you have no freakin' clue who One Direction are. 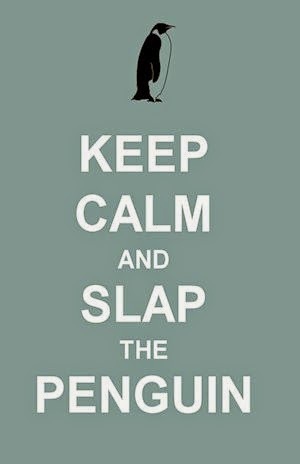 Well, keep reading and Slap the Penguin will enlighten you about Niall, Zayn, Louis, Harry and Liam. One Direction (1D for short) formed in 2010 to compete in the UK version of the X-Factor, another of Simon Cowell's money making talent showcases. The five young men came from around the UK and Ireland to compete individually in the show but none of them were good enough as solo artists, so it was suggested to them that they form a group and combine their talents. This was good enough to get them a third place finish and so One Direction was formed. Whoa... rewind... One Direction is known by their fans as 1D? So if 3D is three dimensions, it would follow that 1D means One Dimension. Just Sayin'. The boys of 1D are carrying on where the boys of Take That left off, although with considerably more crotch grabbing. Oh crap, I nearly forgot the reason behind this post. 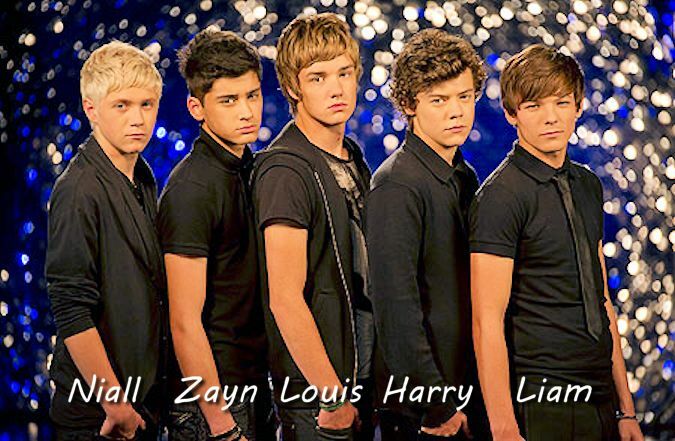 1D have a new album coming out soon. Take Me Home will be their second album, the follow up to the 2011 release Up All Night, and is due to be released in November 2012. 1D are a really big hit among the teen girl demographic, but one of their biggest fans is the young magician Harry Potter, who claims they have a profound affect on him. Wow that first picture makes Liam look like a young Liam Gallagher from Oasis.